Do You Want a Free Forever Tree or a Private Tree? Before you get started, you need to decide if you want a public tree or a private tree. Public trees are free forever up to 2 GB. Two GB are enough for several thousand people and over a thousand photos. You can build as many free trees as you like as long as your combined trees are less than 2 GB. You can invite as many friends and family to use and view your free trees as you like. Free trees include hints, search hints, research helps, the WebClipper, the ToDo Creator, research logs, slideshow movie maker, mosaic pictures, family history book creation, and ads. Public trees are open to the public, public search engines and to used as hints for other trees. If other people can see your tree, your cousins are more likely to connect with you. Family History is about ... well, family. Only you and those you invite* can see information on living people in your tree. Private Trees are part of the paid Pro Plan. You get 100 GB. Private Trees are just that, Private. No one can see your private trees except you and the people you invite. RootsFinder does not use your data, it's private. Private Trees have no ads. Termination: If you terminate your subscription, you private tree will become read only. You and your invitees will be able to view it and create GEDCOMs from it but not be edit it. You may change your private tree to a public tree at any time and continue using RootsFinder. 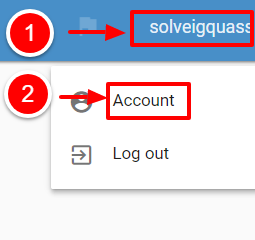 At some point, we may decide to delete an inactive tree. However, we will send 2 notices prior to doing so. 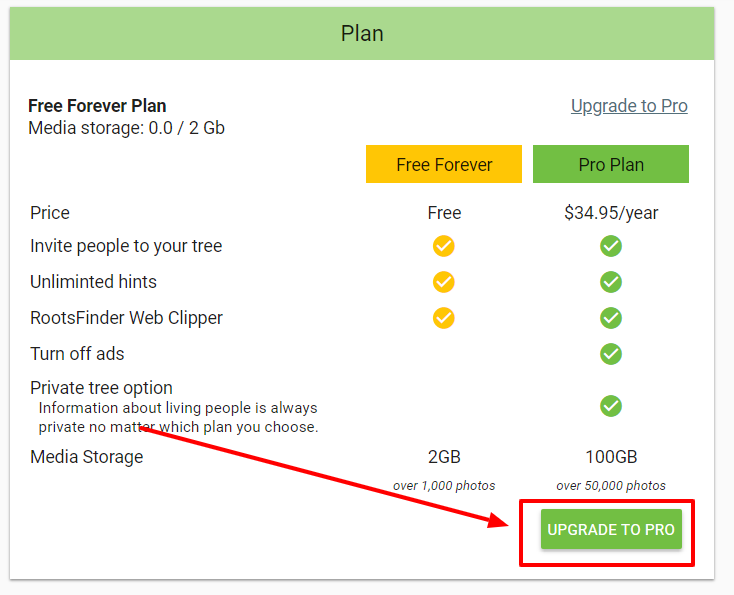 On the next page, scroll down to the Plan Box and click on "UPGRADE TO PRO."